For as long as man continues to have a fascination with time, watches will continue to be a relevant accessory. For some, watches are more than an accessory, watches are a NECESSITY. My Jewelry Repair has expert certified watchmakers on staff, ready to make high-quality repairs whenever you need. We also provide vintage timepiece restorations and we use original parts whenever possible. When we can’t, we make the part custom ourselves. 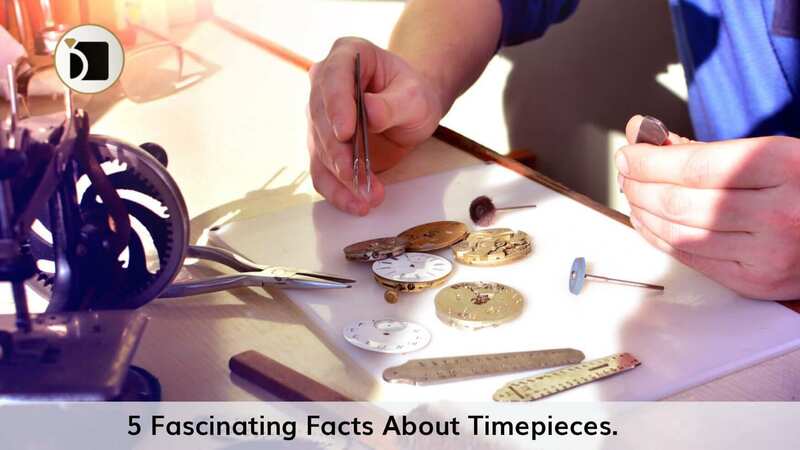 Below are a few fascinating facts about watches you may or may not know about. Yes, you read that right. Wristwatches were first designed for women. Men had a propensity to wear pocket watches and did not jump on that trend train until around the First World War, likely because wristwatches are far more practical in wartime scenarios. Dive models are tested to their limits in the research development phase for maximum durability and dependability. Any function besides telling the time is called a “complication,” which can be anything from water resistance to moon phase. Divers and pilot watches will generally have many complications while dress watches are generally more minimalist. Rolex may be one of the best known watch brands, but it was not created in the best known watch city. Rolex was created in Great Britain back in 1905 and didn’t make the move to Geneva until 1920. Paul Newman’s Rolex was sold at an auction for $17.8 million dollars, breaking world records at the time of its sale. Watches continue to fascinate us, which is part of why it’s so rewarding fixing watches from clients who trust us from all over the country. If you have a watch in need of repair, or just a little tender loving care, My Jewelry Repair is here with an easy, online, mail-in process. We’ll get your watch back to you good as new. Repairs made simple.